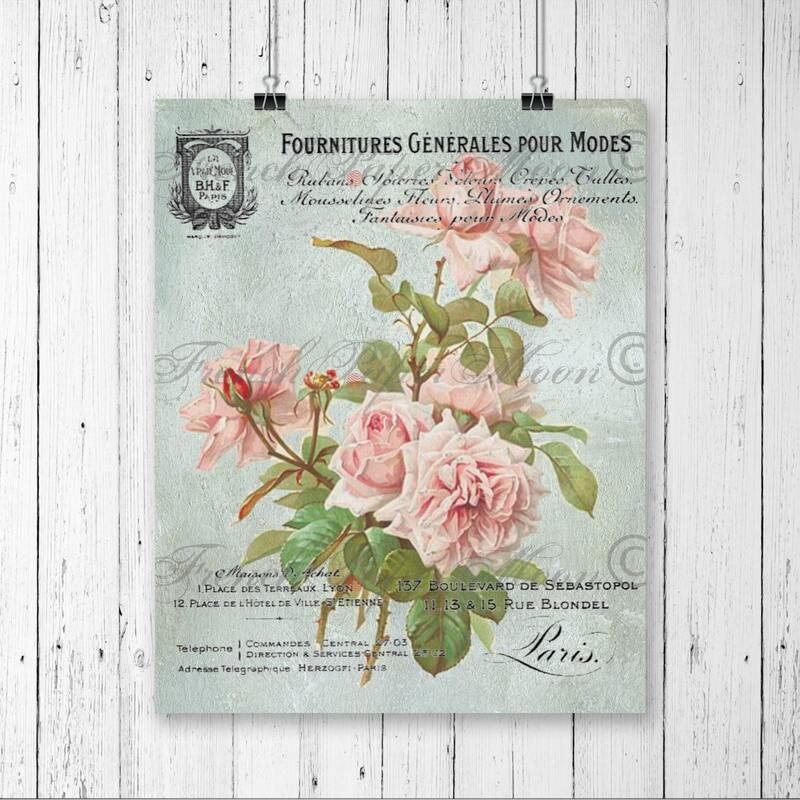 Vintage Shabby Chic Roses and French receipt blended seamlessly together to give you a on e of a kind printable collage sheet. Perfect for a multitude of craft uses. 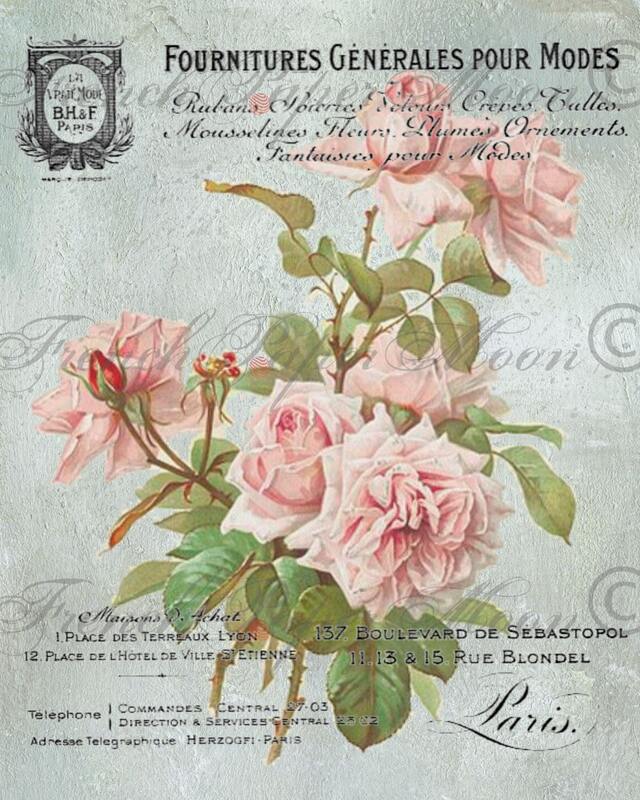 Ideal for scrap booking pages, journal covers or even transferring onto white tea towels – how great would that look? You will receive two 8x10 300 dpi JPEG images, one reversed. Instant Download. Handmade in the USA.